Apologies for the delay in translation and posting. On Thursday 28th Feburary 2013 at 11.oo o’clock Papuan time the third session of responses to the Public Prosecutor was held regarding the Legal Council’s Letter of Exception from the 14th February 2013. 1. 1. Procedures were undertaken without compliance to regulations set out by KUHAP (the law code of criminal procedure), with the consequence that the investigation conducted with the publication of the Prosecution’s Indictment Letter is invalid. 2. The indictment letter by the brother of the Public Prosecutor isn’t accurate, isn’t clear and doesn’t comprehensively state the charges against the defendant. 4. It states the process of the investigation into the defendant is flawed. 5. It states the letter of indictment is not clear, accurate or complete. 7. It states ‘null and void’ or at the very least, cannot receive the indictment letter by the Public Prosecutor numbered Reg.PDM-02/TMK/Ep.2/01/2013 from the 17th January 2013. 8. Releasing the defendant of all charges and lawsuits. 9. Freeing the defendant from custody and reinstating the defendant’s good name. But, the Public Prosecutor’s brother is Andita. Riskianto, SH rejected the Exception Letter by the Legal Counsel and requested that the Timika District Court have the power to investigate and prosecute this case. A further hearing will be held on Thursday 7th March, 2013. Meanwhile, Legal Counsel Ivonia Tecjuri told reporters and family that the exception wouldn’t be changed. “We’re keeping the original exception,” she said. This appalling denial of justice visited upon Papuan will be Indonesias legacy!! Yes Toby, but not entirely their legacy, more of a testament I would suggest, to what one day may become a portion of the cumulative evidences that will serve to create an investigation of the magnitude of human rights abuse covering so many years of Indonesia’s ‘step over the line or else’ claims to the governance of West Papua and its many affiliate islands. In the fullness of time the responsible parties to these many instances of abuse will be investigated, more particularly to include the various military forces, police forces, and whatever other authorative agency that has engaged and or authorized these human rights abuses and or at the behest of those persons who are known associates of and also those ministerial appointees holding office during the Presidency of Indonesia’s President Susilo Bambang Yudhoyono. I am yet to hear or read of any determined efforts initiated by this current President to rally each of the relevant forces loyal to his government, who in all respects has been cognizant toward these atrocious conducts, yet at no time has he rallied his offending forces to halt the continuing outrageous oppressions upon the West Papuan people. 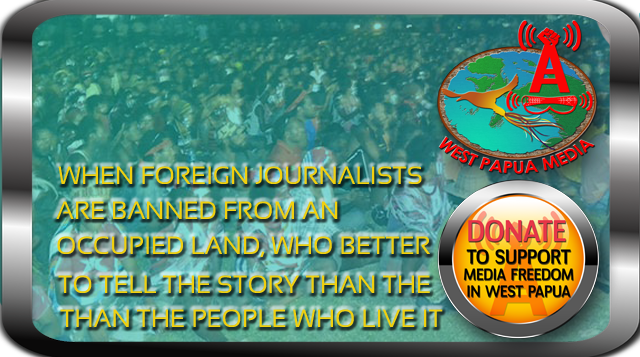 Meanwhile the pillage of the West Papuan peoples homelands continue to gain momentum. Where are the supposed vigilant ministers of the Asia Pacific regional governments?